Before booking a wedding venue, always find time to visit it and evaluate its suitability one on one. How spacious is the venue? Does it have a nicely furnished dining hall? Does it offer additional services like catering? Does it have an audio system; is the lighting perfect just in case the wedding extends to the evening? These are some of the things you must ask yourself before rushing to book a wedding venue. Secondly, you’ll need to consider whether the wedding venue is open to the kind of wedding you wish to have. 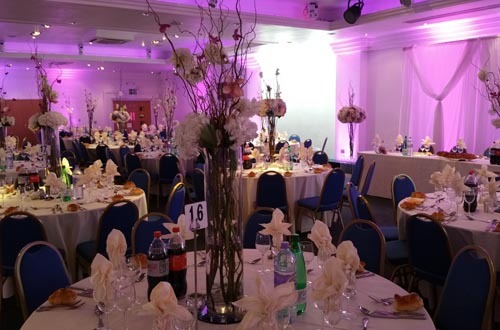 Some venues specialize on certain themes, for instance Cavendish Banqueting, one of the leading wedding venue and planners in the UK, tends to specialize more on weddings with an Indian theme. Thus, if you are looking for a venue that adds a touch of Indian culture, cuisine, and that unique Indian atmosphere, this is a good bet. You thus need to research a bit about the venue you’re interested in. le camouflaging what you’re not comfortable with (maybe your belly or fat in the hips). You can also consult a wedding planner or stylist, to help advice on the best dress for your big day. Also when shopping for the dress, be sure to have a close friend accompany you as you try the different dresses available. Try walking and sitting down in the dress to test its comfort.